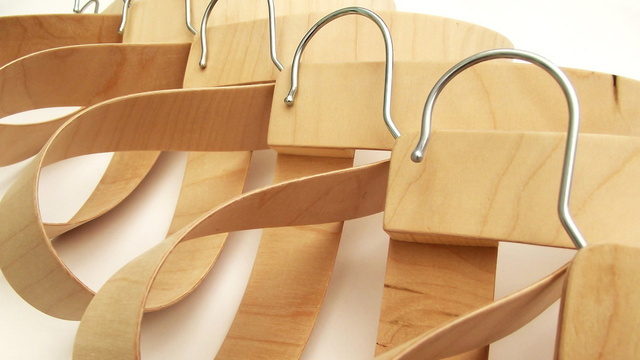 Etsy crafter Dan Hoolahan has created a moebius hanger that seems to bend reality as well as straighten clothes. The modern design is said to save space in your closet, but it’s almost too interesting to hang a garment on. At BLT Shirt Printers, we believe in the power of innovation, but we believe that quality must come first. That’s why our products are hand inspected and guaranteed to wow you and your customers. Our commitment to quality means that we offer a wide range of customizable items, with garments perfect for every need. Browse our online apparel catalogfor a chance to choose from our amazing selection of pieces. If you’re concerned with the environment, consider our green clothing options. If your company wants to support the Made in the USA label, we offer a fantastic line of American-made apparel. If you’re looking for new uniforms for your company, we offer wonderful performance fabric options for your business. Once you’ve selected your pieces, it’s time to make them your own. If you have a design in mind, upload it into our online design studio, where you can see your work on our full line of products. You’ll also be able to embellish your design with our extensive catalog of clip art and fonts. If you feel lost creating merchandise for your business, we’re here for you. With nearly 30 years of graphic design experience, we know how to create eye-catching merchandise tailored to your business. We can also help you choose between our custom screen printing and custom embroidering services. If you’d like to know more about the process, watch us work here. Whether you’re stocking your shelves or looking for a fantastic new company uniform, BLT is focused on providing you with quality pieces that will show off you and your business. And if you want to put our designs on fancy hangers, just make sure they’re not wire!